Since joining NYSHEX last year, the team and I have been setting up offices in Hong Kong and Guangzhou in order to facilitate bookings and payments in China. We knew it was mission critical to have plenty of skilled boots on the ground, as well as the ability for shippers to pay, at the point of origin of most of the world's cargo. We've been canvassing China to get the word out about the positive impact the industry has already begun to see through guaranteed ocean contracts. We've met with hundreds of shippers and presented at various conferences, but a recent highlight for us was winning the award "Outstanding Shipping Internet Platform" in Shenzhen last month. 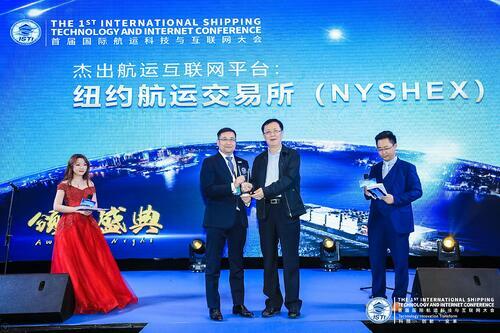 On February 28, 2019, at the inaugural International Shipping Technology and Internet Conference in Shenzhen, NYSHEX was recognized after a rigorous review by the conference committee for its "understanding of the pain points of the shipping industry today and relevant, innovative solution to address them." This award certainly was the icing on the cake, but overall it was a great pleasure to be a part of this conference as it is the first of its kind focusing on the developments and trends of digital technology in the shipping industry in China. It is a clear sign of the increasing awareness about the industry woes and perhaps more importantly, the industry-wide interest in seeking solutions addressing these challenges. It was not a difficult decision for me to join NYSHEX. There’s a perennial vicious cycle in the booking process, whereby shippers tend to overbook in an attempt to secure lower rates and more space, leaving carriers to suffer shortfalls when some cargo eventually doesn’t show up. In return, carriers are tempted overbook vessels to ensure maximum utilization, leaving shippers empty handed during peak season when carriers roll their cargo. It means the market is quite unreliable, service quality is low, freight rates are fluctuating and no one is benefiting. In my mind, what sets us apart is that we look at the pain points from a market perspective, unlike other technology firms who apply tech solutions onto the market. Most of the NYSHEX management team are from the industry and are looking at the problem from both the shipper and carrier perspective. A new development for the industry, afforded through and championed by NYSHEX, is the concept of pricing based on contracted date. This is similar to the hotel industry model, whereby prices are lower when you book further in advance since there are more rooms (i.e., capacity) available. Today, shipments are typically priced altogether on the shipment date, but this is not the best for both parties because no one can accurately predict the future. The price should instead be on the contracted date which is predictable and controllable. That's what we're trying to achieve, and this deeply resonates with our members in Asia. With processes and banking relationships now running like a well-oiled machine, our focus is now on growing our membership as well as the number of relevant offers our members paying in China have access to. With a few months left of slack season, the NYSHEX team in China and I continue to walk our new members through trial shipments so that they are comfortable and confident to navigate our platform once peak season arrives. We feel very proud that our ‘white gloves’ type services have actually helped our members to solve their pain points. Like Mr. Martin MA, Logistics Procurement Director of Midea Group says, ‘NYSHEX provides us an option to avoid paying late arrival penalties to our consignees’. After holding a workshop focusing on consolidated cargo boxes in Hapag Lloyd Hong Kong Office earlier this year, we have found an especially good fit as these flows are time sensitive and can be more accurately forecasted. With the increasing demand for electronics from China, consolidated cargo is only going to grow, and NYSHEX provides the perfect solution for managing logistics suppliers’ capacity and overall inventory. Just like the old Chinese adage "the longest journey begins with the first step," we are working tirelessly to ensure all Asia CIF members enjoy their NYSHEX experience and they tell us to expect a burst in volume this year. 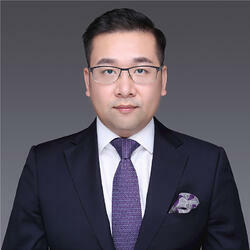 NYSHEX plans to expand to Asia-Europe and intra-Asia trade lanes later this year. Asia-Europe is plagued by freight rate uncertainty while Intra-Asia suffers from far worse booking shortfalls and reliability than the deep-sea trades. There's a lot of opportunity for NYSHEX to help with the stability and visibility on those trades. In both cases, with the strong relationships we've built with our members as well as banking partners here in China, future launches should be a breeze. Would you or your business partners in Asia like a demo or more information? Please reach out to Don.Chen@NYSHEX.com for more details or click here.